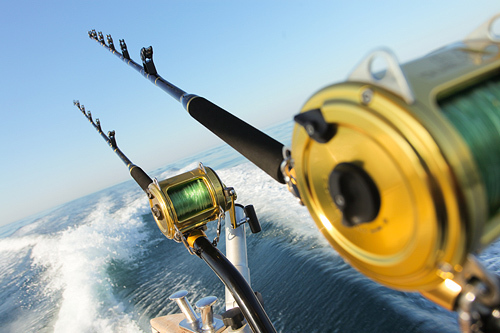 With your lovely wedding gift, we will enjoy fishing on our honeymoon at DoubleTree Resort by Hilton Hotel Zanzibar-Nungwi. We will cast out, sit back, relax, and wait for the fish to bite. While honeymooning in Zanzibar, we will want to discover the tropical waters of the Indian Ocean. We will dive below the big and blue and come across spectacular sea creatures, including colorful corals, exotic fish, and other marine life. Scuba diving on our honeymoon allows us to create many memories that we will cherish forever! Together we will witness an underwater world of majestic beauty while snorkeling on our honeymoon! We will float on the water’s surface while viewing stunning sea life from above. The colorful corals, tropical fish and other types of marine animals will leave us amazed and astounded by their beauty! On our honeymoon we will be pampered with a stay in the Queen Garden View Room. This spacious room is beautifully decorated with modern designs and fine furnishings in the living area, and a 32-inch LCD TV. Our soothing sanctuary boasts a mini bar, a queen-sized Sweet Dreams® Bed with luscious linens, bathrobes, and a bathroom with a shower and lavish amenities. Outside on the private balcony, we will sit back and enjoy beautiful views of the lush gardens. Our romantic honeymoon at DoubleTree Resort by Hilton Hotel Zanzibar-Nungwi promises us an exquisite stay in the Queen Ocean Facing Room. This honeymoon haven boasts fine furnishings and a 32-inch LCD TV. The Queen Ocean Facing Room also includes a mini bar, a queen-sized Sweet Dreams® Bed with luscious linens, bathrobes, and a bathroom with a shower and lavish amenities. From the private balcony, we will be in awe of the view of the ocean and beyond! A stay in the Queen Pool View Room is a wonderful wedding gift for our honeymoon in paradise! Our romantic retreat boasts fine furnishings and a 32-inch LCD TV. This spacious room also includes a mini bar, a queen-sized Sweet Dreams® Bed with luscious linens, bathrobes, and a bathroom with a shower and lavish amenities. From the private balcony, we will have a gorgeous view of the sparkling blue pool. 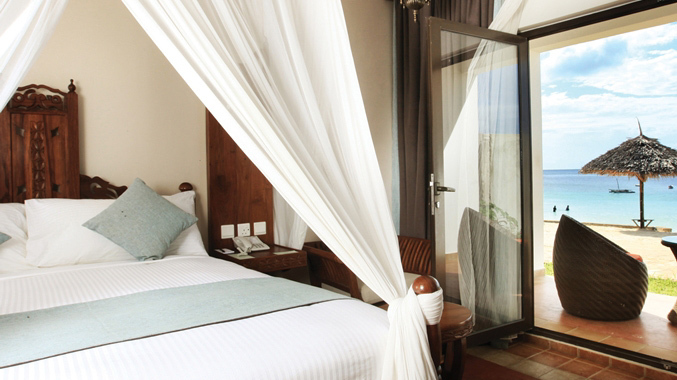 We will luxuriate in the enchanting surroundings of the Ocean Facing Junior Suite. This stunning suite is beautifully decorated with modern designs and fine furnishings in the living area with a 32-inch LCD TV.Our spacious sanctuary also includes a daily fruit basket, a mini bar stocked with soft drinks and local beer, a 30-minute house massage, a queen-sized Sweet Dreams® Bed with luscious linens, bathrobes, and a bathroom with a shower and lavish amenities. From our private balcony, we will sit back, relax and admire breathtaking ocean views. At DoubleTree Resort by Hilton Hotel Zanzibar-Nungwi, we will soak up the beautiful views of the azure Indian Ocean in Dolphins Pool Bar. We will sip delicious cocktails, icy cold beers and fresh fruit juices in the sunshine. If we are feeling peckish after a long swim, we will choose from a selection of tasty pizzas and bar snacks at this relaxed pool bar. 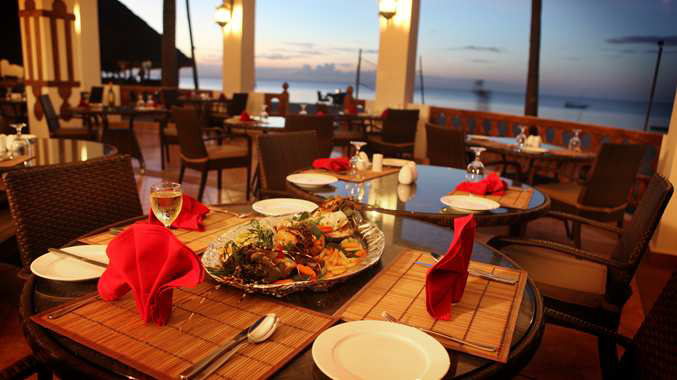 The Fisherman Bar & Grill offers us a mouthwatering array of international and fusion specialties. This Zanzibar restaurant also offers a wide variety of alcoholic and non-alcoholic beverages and authentic Shisha aromatic tobacco. We will begin the day with a delicious DoubleTree breakfast overlooking the stunning beach at Ngalawa Restaurant. We will take part in fun, themed evening meals, indulge in and expertly mixed cocktails and enjoy vibrant and exciting live entertainment in this warm and welcoming restaurant, which benefits from beautiful ocean views. 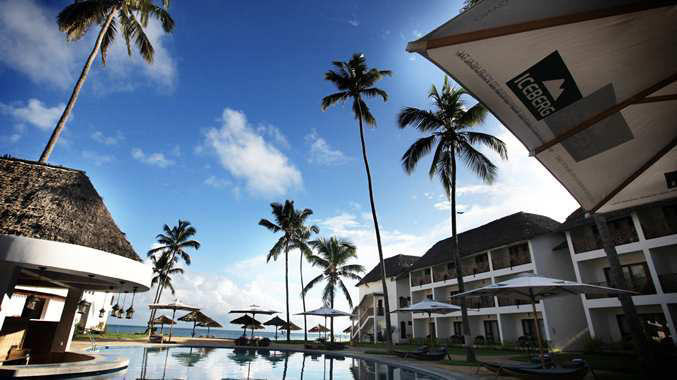 Set on the most northern tip of Zanzibar in Tanzania, DoubleTree Resort by Hilton Hotel Zanzibar-Nungwi promises us the chance to experience the trip of a lifetime. With excellent service, this resort provides exceptional amenities and extras. We will savor innovative international and fusion specialties at Fisherman Bar & Grill, try authentic Shisha aromatic tobacco, enjoy traditional live entertainment at Ngalawa Restaurant while delighting in delicious local cuisine next to the beach. We can explore the tropical waters while scuba diving, snorkeling or fishing.With your wonderful wedding gift, we will create unforgettable honeymoon memories with this extra resort credit! 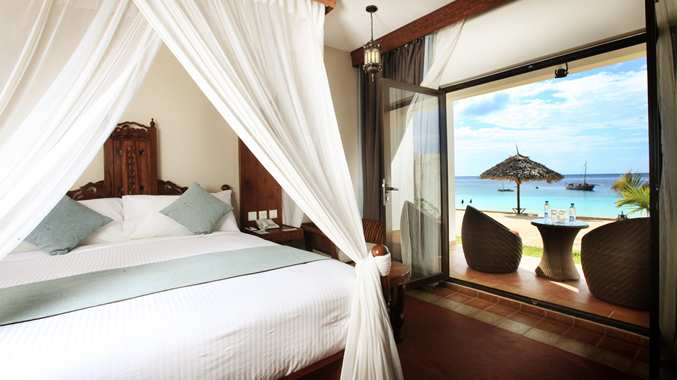 DoubleTree Resort by Hilton Hotel Zanzibar-Nungwi is set in the traditional fishing village of Nungwi on the most northern tip of Zanzibar in Tanzania. Upon our arrival, we will feel cared for with a comforting, warm chocolate chip cookie and head up to our guest room boasting lavish amenities and stunning sea views from the private balcony. We will sample innovative international and fusion flavors and delicious drinks in the restaurants and bars. Here, we can relax on a sun bed with parasol on the white sand beach, or explore the waters while snorkeling and scuba diving. In the outdoor freshwater pool we will take a refreshing swim or savor cocktails at the pool bar, or we will stay active in the fitness center or wake up with morning yoga on the beach. DoubleTree Resort by Hilton Hotel Zanzibar-Nungwi will enhance our honeymoon with special touches, impressive amenities and warm hospitality. A chilled bottle of champagne will be delivered to our room or suite. We will make a toast to our charming and romantic honeymoon in Zanzibar, Tanzania while taking in the panoramic views of the sparkling ocean and lush gardens from the comfort of our room. 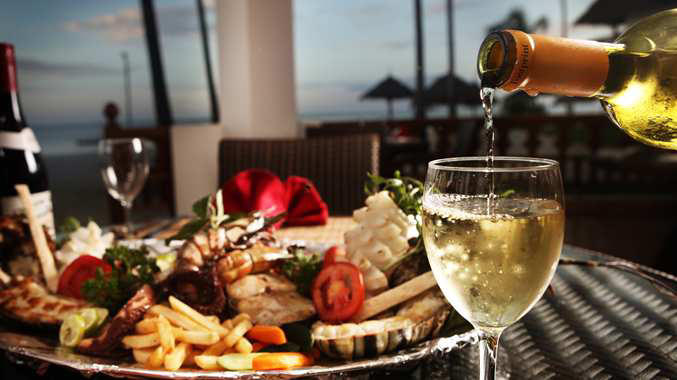 A bottle of our favorite wine will be delivered to our room at DoubleTree Resort by Hilton Hotel Zanzibar-Nungwi. We will make a toast to our honeymoon while taking in the striking views of the lush gardens and alluring ocean from our private balcony. 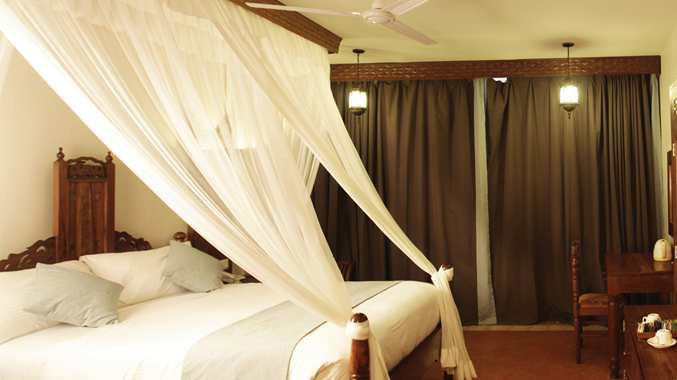 In a tranquil setting at DoubleTree Resort by Hilton Hotel Zanzibar-Nungwi, I will receive a lavish massage. Soothing strokes and massage techniques will leave my mind, body and spirit feeling refreshed, relaxed and renewed! 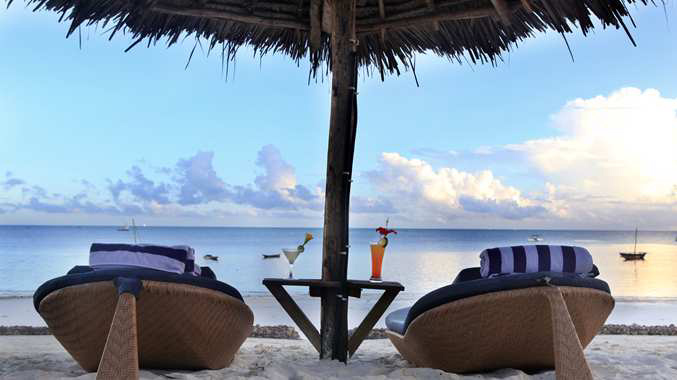 On our honeymoon, we will make the most of our time at DoubleTree Resort by Hilton Hotel Zanzibar-Nungwi and book a Bed & Breakfast package. We will start with a warm chocolate chip cookie welcome, sleep tight, and then welcome our day with a tasty breakfast made just for us. This package includes hot entrees as well as a range of healthy options like granola, yogurt and whole-grain breads and cereals. We cannot wait to be completely pampered on our intimate escape. We will book the Leisure Escapes Package to give ourselves the honeymoon getaway we deserve! This package allows us to enjoy breakfast and a $50 on-property credit for dining, activities, extras, and more. With your lovely wedding gift, we will enjoy the Celebration Package on our honeymoon. We will celebrate with even more relaxing amenities on top of their already-warm hospitality, chocolate chip cookie welcome, and CARE culture. This package includes sparkling wine waiting for us in our room upon arrival, in-room wake-up DoubleTree breakfast or in the restaurant for each night of our stay, and an early check-in or late check-out. We can truly unwind, getaway and celebrate!